This veggie pot pie soup is packed with vegetables, and goes beautifully with some crusty bread – it tastes indulgent, but is full of nutrition too! Hands up if you like veggie pot pie?! (imagine my hand shooting into the air at 100mph here…). There’s nothing better than a creamy, hearty meal that’s also chock-full of veggies. This veggie pot pie soup is a lighter version of my favourite pie, that still tastes irresistible – a creamy vegetable soup that’s just perfect for dipping crusty bread. 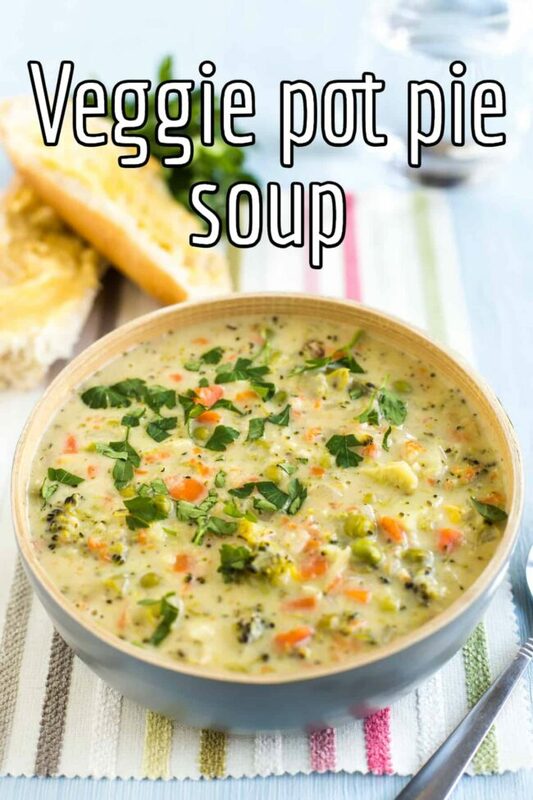 (more…)The post Veggie pot pie soup appeared first on Easy Cheesy Vegetarian.